Cuesta Roble* Greenhouse Vegetable Consulting was established in 2004 in the Sierra Mountain foothills of California. 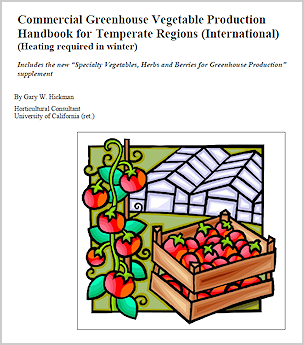 We publish several greenhouse vegetable publications on production methods, global statistics, and grower contact listings. Our experience working as consultants in over 40 countries has allowed us to observe, diagnose, collect information and help solve production questions worldwide. The senior consultant at Cuesta Roble is a recently retired research and education academic, specializing in greenhouse vegetable production at the University of California, Davis, with 25 years of experience in all related aspects. Although we are no longer accepting new consulting clients, our updated publications are readily available for all interested.